Photos from MPSF Men's Volleyball action Friday, 2/12/2010. UC Santa Barbara at Long Beach State. 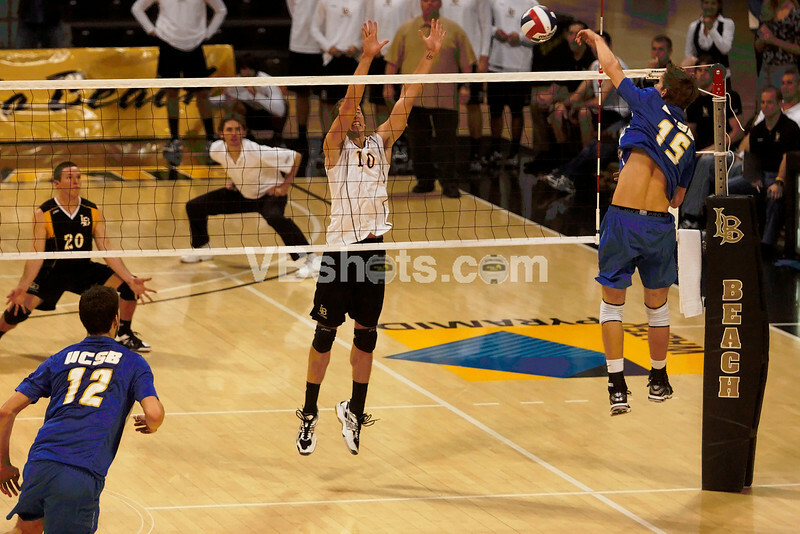 UC Santa Barbara prevailed in a hard fought 30-24, 26-30, 31-33, 30-22, 15-13 win. Dean Bittner of Long Beach scored 38 kills.